Got the Game? Get the Guide! Okay... I finally admit it, the XBox is now the definitive console on the market at the moment and unlike my PlayStation 2 (that is now gathering dust), the XBox has come leaps and bounds. Fortunately for the world of XBox gaming, another new Role-Playing Title (RPG) has finally landed and unlike its predecessors, it promises to give gamers a true RPG experience that has never been experienced before in the game called Sudeki. The world of Sudeki has been ripped in half by insidious forces and the denizens of this peaceful world now live in either day or night. Fortunately for the world of Sudeki, a gathering of heroes have banded together to reunite this world and once again bring order to a world gone mad. Although the storyline may sound a little clich�d at even at the best of times, Sudeki plays out like any traditional RPG games with the limited forces of good battling it out against an unlimited army of darkness. Players take control of four characters who must work together as a team in order to successfully complete this majestic quest. Join forces with the beautiful sorceress Ailish, the powerful and noble swordsman Tal, the beast woman Buki and the crazed scientists Elco who have formed an alliance to protect the lands of Haskillia in order to free the world of Sudeki. 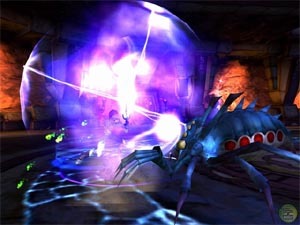 Rather than sticking the gamer in the midst of an unholy chaos, the developers slowly introduce the characters. Therefore, gamers first take control of Tal that not only serves as a much needed tutorial but slowly help you become accustomed to the world of Sudeki. As with all good RPG titles, players must traverse the now dangerous world of Sudeki and adventure into dark and deadly dungeons or visit strange new towns where they meet up with other characters who give them advice, equipment or even quests in order to make them become legends. 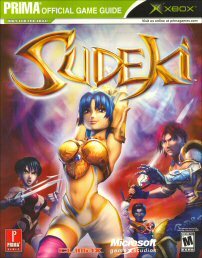 Sudeki could be best described as The Three Vikings meets Baldur's Gate as rather than fighting as one team all the time, the player must decide which character can best solve the puzzles at hand. Whether it's Tal who uses his incredible strength to move items or the crazed scientist Elco who uses his futuristic items to help the team reach unreachable places, it all comes together nicely. The control system of Sudeki is rather straightforward but I must admit that I became a little flustered when the combat started heating up in the game because rather than using tactics and spells to dispatch your enemies, Sudeki is more of a button masher and you must hack or claw your way through the hoards of evil by using either the X or A buttons. 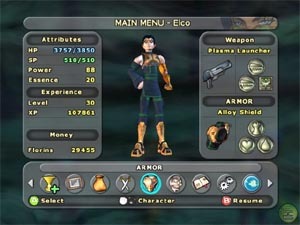 Each character also has their own unique fighting styles and it should also be noted that the world of Sudeki is virtually littered with items throughout the gaming environment. Another interesting addition for the game is the introduction of skill points that are basically super moves and really help increase the longevity of the title by this interesting and impressive feature. These skills points are extremely useful when the enemies are a little tough or if you find yourself outnumbered. Graphically, Sudeki is a visual treat that pulls out no punches on the XBox gaming console to once again show that this green, black or silver box is still a force to reckoned with. The most impressive feature of the game are the lush backgrounds that are virtually filled with a plethora of detail and really helps immerse you into this magical world. The characters also (although having a fairly low polygon count) look quite impressive and have this cartoonish feel to them that move with grace and fluidity. 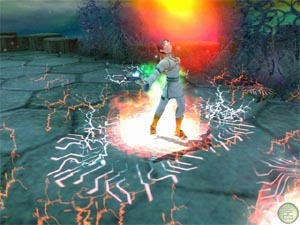 The game also contains a treasure trove of special effects, especially the various skill points of each character or the even to the more simple attacks of melee weapons. Although not to be left apart in the graphics department, the developers have also done a great job at the sound effects of Sudeki and match that with some quality voice acting and you have a match made in heaven. Interesting enough, there is quite a bit of voice content in this game and the voices for each of the main characters sounds perfect with nothing too contrived or forced. The game also games a strange soundtrack that is a combination of techno meets Gladiator and actually suits the game. 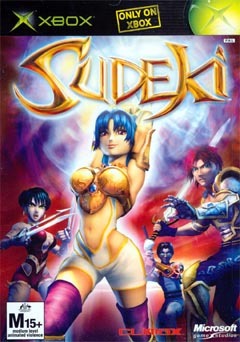 In conclusion, Sudeki is a must needed breath of fresh air on the XBox and I would recommend this game to any RPG fan, especially those who are looking for a RPG-lite game because although this game has quite a bit of content, it is a little on the easy side with the professional gamer probably finishing this title in around 20 to 25 hours but thankfully enough, you can probably play this game a few more times. Check it out!